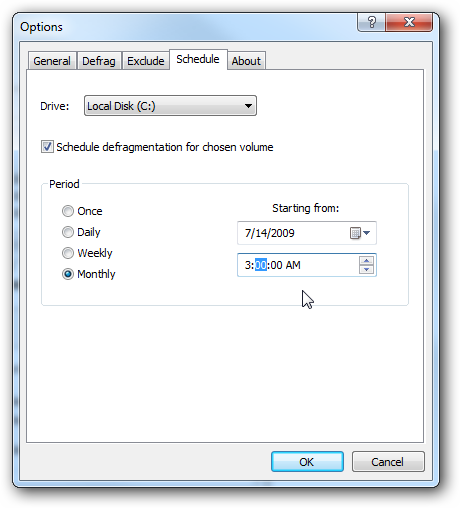 Defragmenting your hard drive is typically considered good housekeeping to keep your computer running smooth. Today we take a look at Defraggler which is a free utility that allows you to defrag an entire drive or just individual files. Installation is quick and easy following the installation wizard. You will be up and ready to roll in a few seconds. When first starting up Defraggler you get an overview of the different drives on your computer. 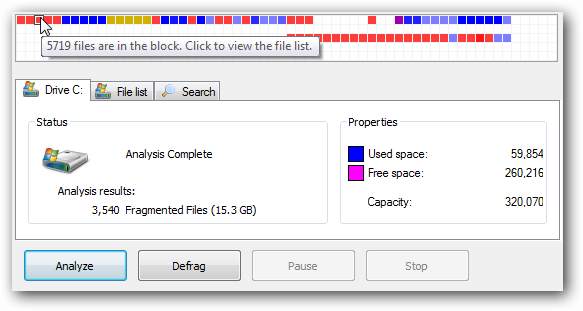 Before starting a defrag session you can click on the Analyze button and see the amount of fragmented space. Under Help there is a legend so you can identify what the colored blocks represent. 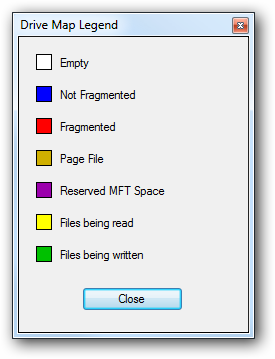 The graphical display allows you to click on each fragmented section and see how many files are in that block. 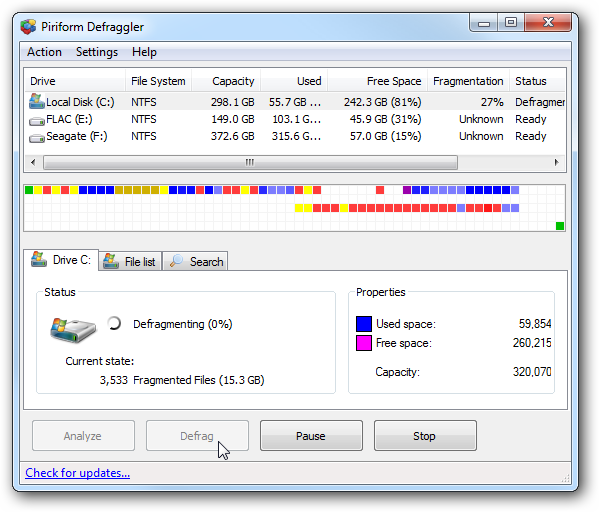 Click on the Defrag button to start the defragmenting process. There is a graphical display to view the progress of the session. Click on the File List tab to see exactly which files are fragmented. 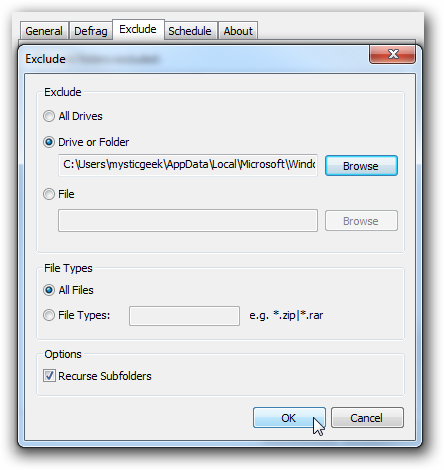 You can then select the specific files you want to defrag rather the entire drive. In the Options section you can schedule when you want Defraggler to run. There is the ability to skip files and folders as well. This is handy for skipping large multimedia files that can take up a lot of time. 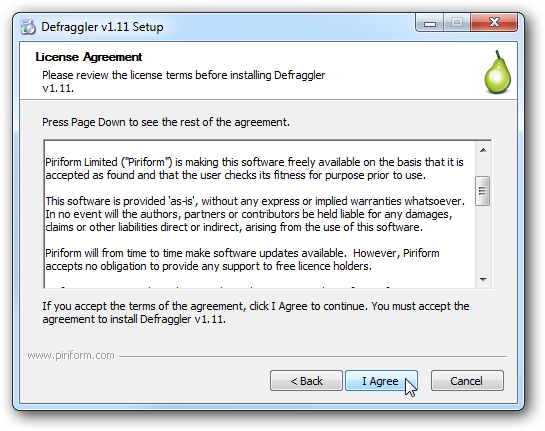 Defraggler is developed by Piriform, the company that has brought us the trusted utilities Recuva and CCleaner. It will work with all versions of Windows from 2000 through Windows 7 (32 and 64-bit versions). 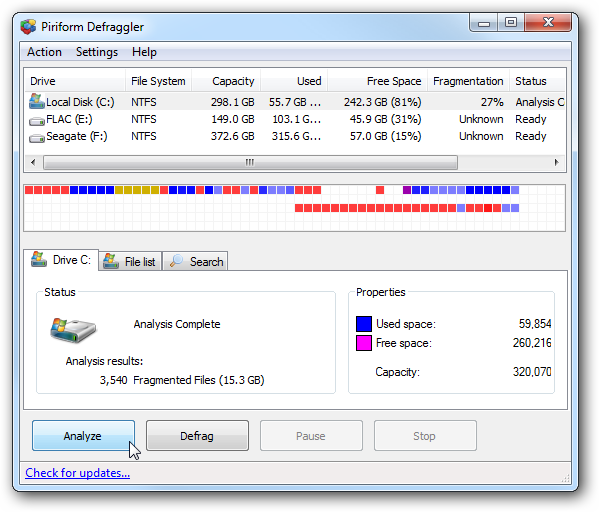 If you are looking for a free utility to defrag your hard drive and want more options than the native Windows utility, Defraggler is worth a look.